Global Distribution of the Unionidae. The blue majority of the pie depicts the relative Recent species diversity of the family in the order Unionoida (717 of 927). 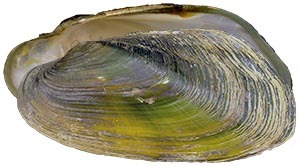 The Unionidae is the richest of the six extant freshwater mussel families by far. We currently recognize 717 Recent species (141 genera) worldwide, and there are representatives in each of the six geographical regions. In the no-so-distant past, we punted with regard to the infra-familial arrangement of the Unionidae. The classification has since been updated and is applied here. We currently recognize 6 Recent subfamilies. subfamily Ambleminae: 4 tribes, 12 genera, 340 Recent species. subfamily Unioninae: 4 tribes, 151 Recent species. Distribition: Nearctic, Neotropical, Afrotropical, Palearctic, Indotropical. subfamily Parreysiinae: 5 tribes, 1 genus, 103 Recent species. subfamily Gonideinae: 4 tribes, 9 genera, 73 Recent species. subfamily Rectidentinae: 2 tribes, 5 genera, 40 Recent species. 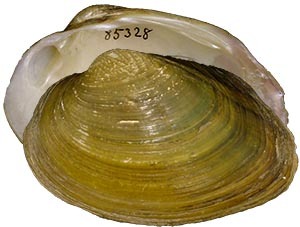 genus Pseudobaphia Simpson, 1900: 3 Recent species. genus Ctenodesma Simpson, 1900: 2 Recent species. 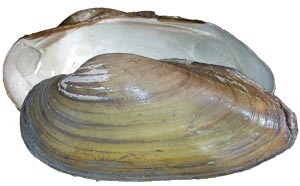 genus Schepmania Haas, 1910: 2 Recent species. genus Germainaia Graf & Cummings, 2009: 1 Recent species. subfamily Modellnaiinae: 1 genus, 1 Recent species. genus Protunio Haas, 1912: 1 Recent species. genus Archiparreysia Modell, 1964: fossil only. genus Comptio Liu & Luo, 1978: fossil only. genus Costanaia MacNeil, 1935: fossil only. genus Eocuneopsis Guo, 1985: fossil only. genus Eolamprotula Gu [Ku], 1962: fossil only. genus Gautieraia Van Damme & Pickford, 2010: fossil only. genus Grafunio Van Damme & Pickford, 2010: fossil only. 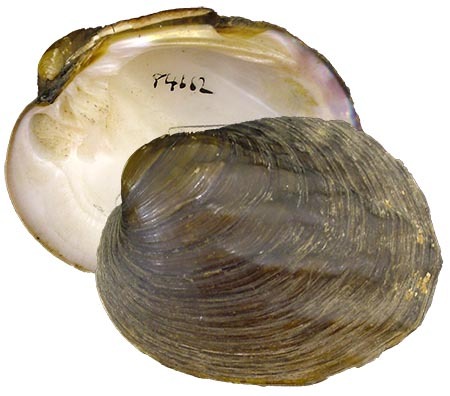 genus Hadrodon Yen, 1952: fossil only. genus Nkondonaia Van Damme & Pickford, 2010: fossil only. genus Obwerukunio Van Damme & Pickford, 2010: fossil only. genus Palindonaia Modell, 1950: fossil only. genus Paranodonta Kobayashi & Suzuki, 1936: fossil only. 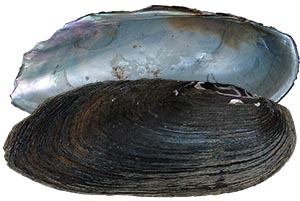 genus Plesielliptio Russell, 1934: fossil only. genus Pliconaias Marshall, 1929: fossil only. 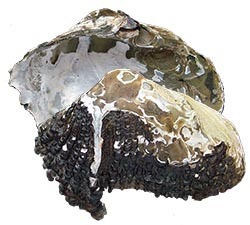 genus Protelliptio Russell, 1934: fossil only. genus Protopleurobema Delvene & Araujo, 2009: fossil only. genus Pseudobovaria Adam, 1957: fossil only. genus Psilounio Guo, 1985: fossil only. genus Ptychorhynchoideus Modell, 1931: fossil only. genus Qiyangia Chen & Xu, 1980: fossil only. genus Rhabdotophorus Russell, 1935: fossil only. genus Saharella Mongin, 1963: fossil only. genus Sulcatapex Yen, 1946: fossil only. genus Sulcatula Leroy, 1940: fossil only. genus Tamesnella Mongin, 1963: fossil only. genus Teruella Mongin, 1965: fossil only. genus Unionelloides Gu [Ku], 1962: fossil only. genus Vetulonaia Branson, 1935: fossil only.